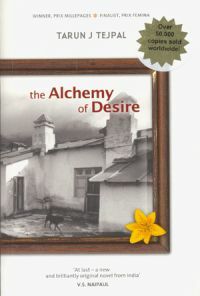 Books: The Alchemy of Desire. 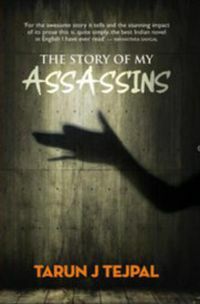 The Story of My Assassins. I may sound an unripe essayist to quote my thoughts on a man who I believe juggles with multiple hats. I call him –"Mr. Multiple Hats'; Writer, Journalist, Activist and also a socially indulged Entrepreneur. Tehelka is like a synonym for Tarun Jeet Tejpal. Yes, it is unfortunate to take notice of people around acknowledge the man by a puzzled look, “Oh, Tehelka guy”. Readers wouldn’t know him otherwise as a true bravura writer. Mr.Tejpal is the whistle blower for a common man and a storyteller with prose to die for, for all the readers. He’s a man of words. For writers and journalists, words are all they have; it does become a reason for their existence. A little research on his work and about him brings a light on the devotional contribution to his work in journalism which is nothing is less than a matter of greatness. Let me take you through this very interesting career path and life facts of Mr Tejpal which got its roots before Tehelka and definitely before the launch of his three novels. It is true that for him journalism and role of a writer serve two different purposes in his life. He likes to live in the two worlds; dream journalism and the love for writing fiction. People are practically unaware about the latter stand. In 80’s, Tejpal worked as an editor with India Today magazine and later for several years worked with The Indian Express Groups, Outlook and The Telegraph. Through the struggling years of journalism, he made a mark of being one of the finest journalists in India. Interesting yet surprising element of Tejpal’s inclination is the set up of IndiaInk- Publishing House in 1996. As part of literary journalist, he launched Arundhati Roy’s first fiction work – ‘The God of Small Things’. Matter of fact, proactive journalism made his writing quite explicit in nature. Professional career as editor made him survive through livelihood with his beloved wife – Geetan, live long love life! Since his college days his mind would take him to the world of books and classics. He chose a path of common ground, ignored the idea of pursuing anything that will fetch him materialistically. Though, Tehelka is doing quite a bit of that, tongue in cheek!! Bang! In 2000 he brought India’s foremost bold expose on political-social ugly affairs, much needed expose through the launch of Tehelka Magazine. As a CEO and Editor in chief for Tehelka Magazine, which brought a long due explosion in India about outrageous characters rooted beneath. Crow as a symbol for the magazine itself makes an absolute sense of the old Hindi Proverb. "Tehelka’s philosophy remains crusading and investigative journalism” … (Quote). For many of us, we were too young when Tehelka launched. We were naïve to understand the bold letters on the newspapers – “Tehelka.Tehelka.Tehelka”. Only thing I could make sense was the ‘tehelka- ROAR’ everywhere about his hearsay, disclosures and corruption fore front. Only in these early years, I’ve come to know rather started acquainted with him, his work, and his books. Man is not only a journalist but an incredible story teller. As a journo, writing for him became the spring to direct the misfortunes, crisis plunging in India, keeping far away from fantasies or shinning India ideology. And the Story teller continues his life during Tehelka and journalism years, the greatest work he could do for readers is the launch of three novels. He calls for another ideology as a writer; Mr Tejpal rejects the idea of toxic publicity of his books. No wonder, his persona of being a writer is pretty unacquainted. If you’re fortunate enough to pick even one book by him you would be baffled by the rarity of sense he puts in his writing. He is highly mesmerized by greatest inspirational characters and writers, which are often highlighted in his work, to name a few – Jawaharlal Nehru, Kafka, George Orwell, and Hemmingway. He would praise the Indian prose, English prose and prose of many kinds. So, the man says, “My job is to provide you with discomfiture. I'm not here to provide you comfort… I don't think the job of a serious writer is to amuse you.”…(Quote). 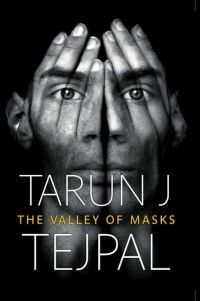 Tarun Tejpal has written three highly recommended books, inspired by his personal encounters in the midst of efforts in support of his team for all the luscious disclosures of political India. And once you give your bookshelf a little space for his books, the wild journalist side of him would definitely give an answer to his quote that why ‘safe books’ bore him. The second book is the depiction of power in India, misguided democracy, exposed character of corruption and the other side of so called ‘creamy layer’ of India. It is not a memoir of his life during or after Tehelka, though the story has risen from the personal reflection and experiences in his life during the launch of Tehelka. It is purely a fiction piece of his encounters. The third creation is said to be dark, disturbing and exploration of the story of people , moral which will haunt you. My idealism reflects the journey of a journalist and a writer. Here, idea to write about Tarun is just not to shower him with praises, considering my personal admiration for this man and smooth talk about him about what he believes in. A plead, Just the matter of giving his books a chance. Make the unread read. You will romanticize his words, this I promise you. He is one of those who are not known in the 'bazaar'. I’m spreading the word for his novels, pick it up and you will never regret, after all, as a reader, a paperback can show you marvel of the world. “Clever … inventive … In the profoundest way, Tarun Tejpal writes for India.” —V.S. Naipaul, Winner of the Nobel Prize for Literature. There are links which will definitely make you hyper to know more and more about him. You wouldn’t want to ignore these interviews, discussions, reviews on Tarun Tejpal. An absolute insight on his life, writings and journalism. The whole of his – official website. Filled with reviews, comments, writer’s thoughts, book launch events and even recent pieces by him. Interesting one on one interview with Tarun Tejpal. GQ Magazine interview with Mr Tejpal ; conversation that you can’t ignore. The story of my assassins and beyond on thedailybeast. Blogger – Zackintosh, when he met Tarun Tejpal and his wife Geetan in Delhi- they talked over Dilli and Books..kidvai.blogspot. Tarun – part of Kala Utsavam Singapore 2012 kalaautsavam. Q n A : Iconic journalist turned into author on Verve. I loved reading Alchemy of desire and Story of my assassins. What remains are certain characters he absolutely brings them to life, for example the King/ Nawab in alchemy of desire who coins truisms and the spiritual baba in Story of my assassins. I particularly like Story of my assassins, an absolute dynamite.